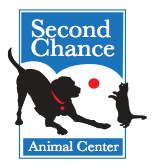 Second Chance Animal Center serves about 1,000 animals each year from Bennington County, as well as parts of eastern NY and northern MA. SCAC is committed to improving the lives of all animals in the communities they serve, and to eliminating unnecessary euthanasia of the homeless and unwanted. In addition to providing compassionate shelter and treatment for any animal in their care, SCAC’s programs include a low-cost spay/neuter program (SNAP), foster care services, obedience training, behavioral help for all pet owners, education programs, and a summer camp stressing humane treatment of all animals.